Everything started from this post of La Cucina di Calycanthus about “Pesto di cilanto (cioe’ coriandolo)”. I was curious about the usage of Coriander for a pesto, considering that the main usage I know is the one for Tom Yum Goong. 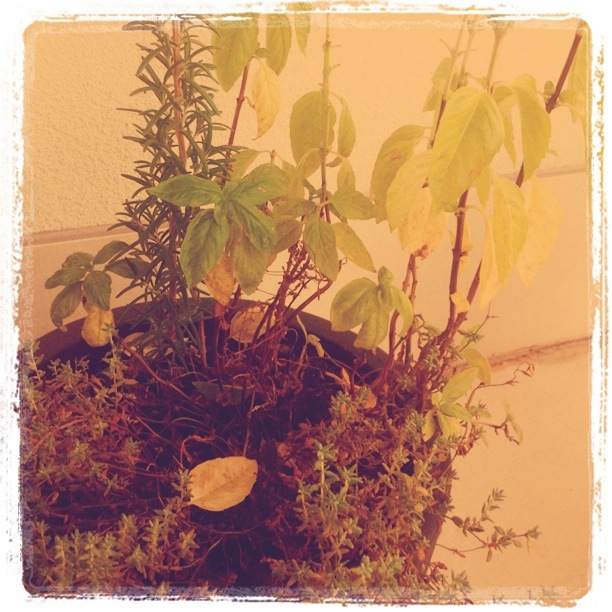 Then I realised that my basil plants on the terrace where ready and I changed the recipe. It came out a Basil Pesto with almonds and it was a really nice surprise. Nothing to do with a real pesto but a good way to change a bit the taste!